The question asked was (essentially) how many elves could be placed on a chess board, such that none could see any other (just as the Eight Queens Problem asks how eight queens can be placed on a chess board such that none threatens any other). This leads naturally to other questions involving magical creatures that are based on other chess pieces. In each case, once you have a solution, can you find a proof that it really is optimal (i.e. most creatures placed)? Of course, the puzzle could also be stated with creatures based on knights, kings or pawns, but these cases are not very interesting. I’ll leave you to consider why. 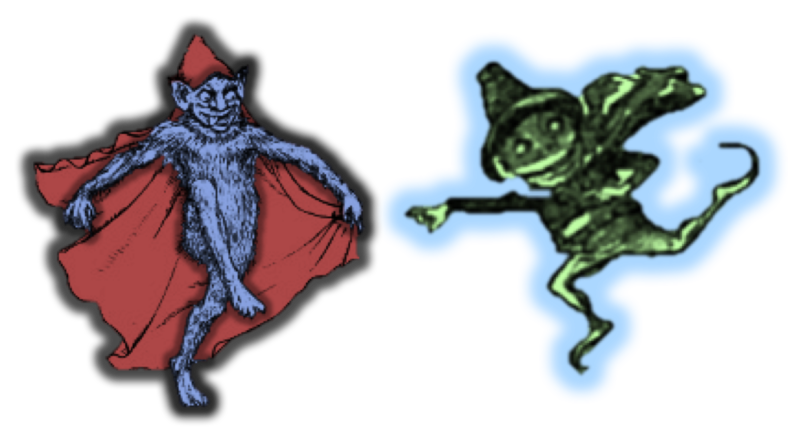 There is actually another way in which the original elf puzzle could be adapted for other pieces. Since queens can take on adjacent squares anyway, you could instead only allow creatures to see adjacent squares that are threatened by their corresponding chess piece (i.e. 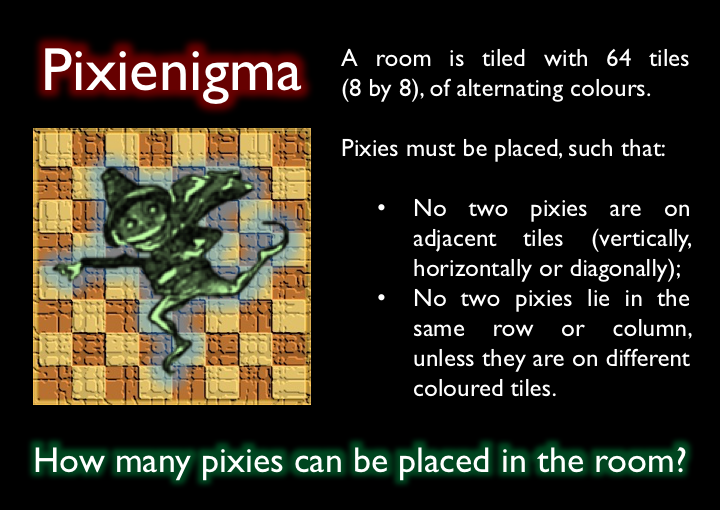 pixies could not see diagonally adjacent squares, since rooks cannot take on those). 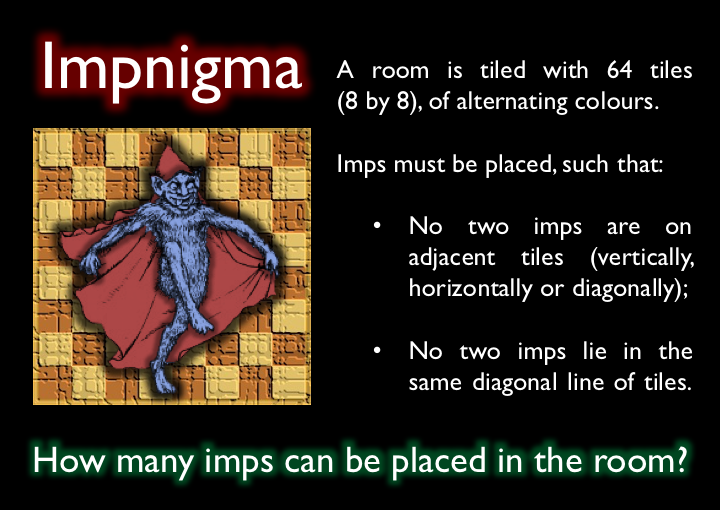 However, this makes for less interesting puzzles, though the version for the knight-equivalents (sprites?) is worth a moment’s thought. I’ll give solutions in a day or two.